In which G.M. Norton makes the acquaintance of a real-life dandy. After debating the idea for a while, largely over tea and cake, I recently joined the social networking site, Instagram. 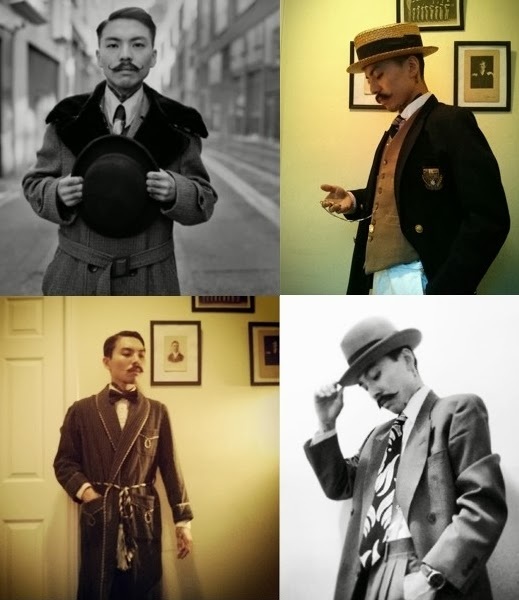 It was through this medium that I was lucky enough to cross paths with a real-life dandy, Mr.Yoshio Suyama. 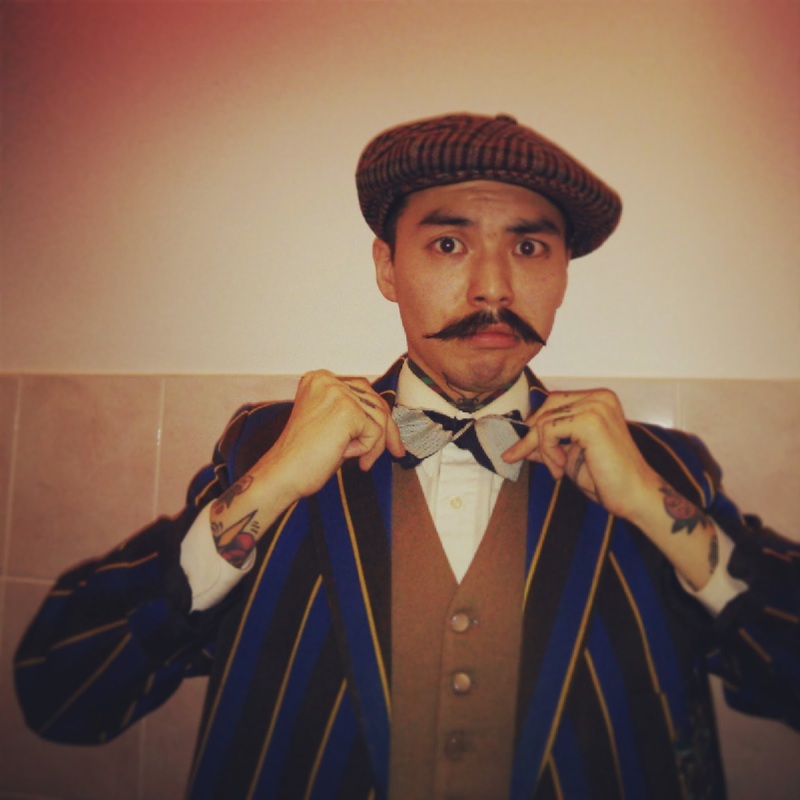 I do so love a dandy. 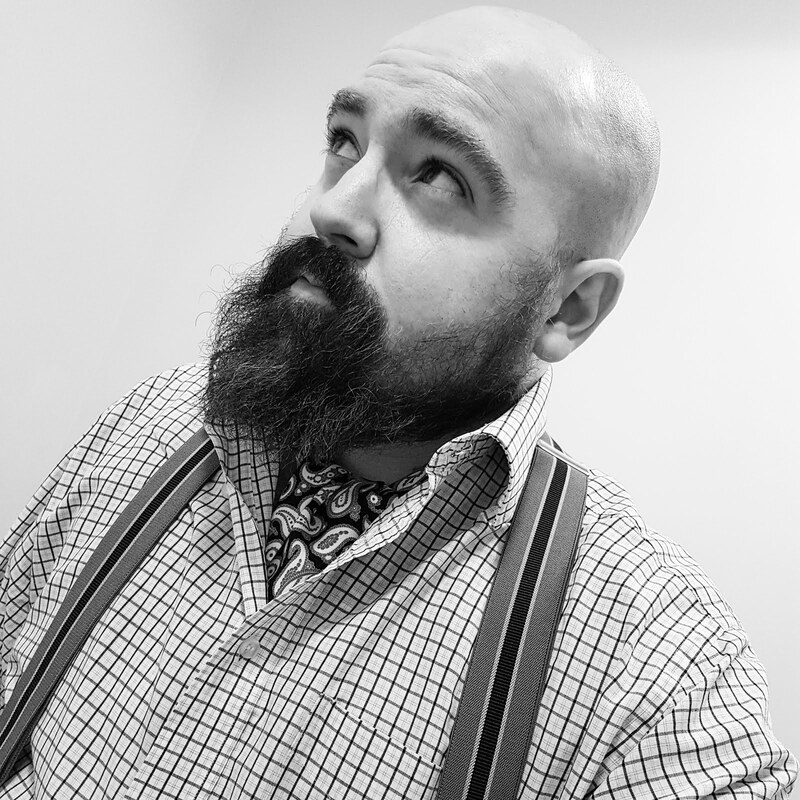 One can only admire a well-dressed man that prefers to cut a dash rather than drearily conform. Admiring Yoshio’s array of pictorials, I was smitten with his style. 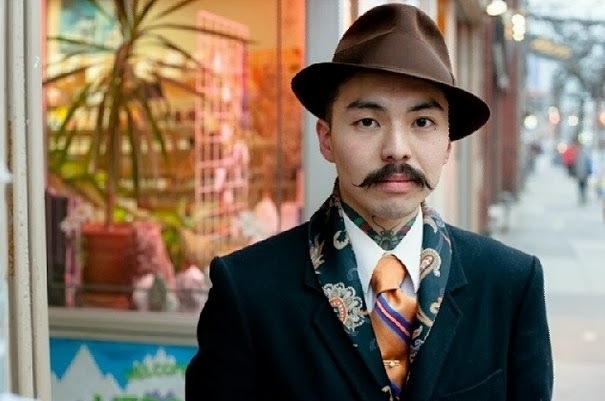 With a respectful nod to a bygone age, Yoshio is sartorially savvy and a true inspiration to me as I continue on my journey to Gentleman. It occurred to me that it would be jolly nice to introduce my readers to this preening peacock and to join in the admiration. As Yoshio currently resides in Toronto (although he was in London for a time), I conducted an interview with him through the power of electronic messages. It’s frightfully good what you can do these days with this new fangled technology! So without further waffling, please enjoy this little chinwag. Being like my Grandpa, who knows everything. He dresses well, has a great moustache and hair. He is my hero. I would say early 1900s with a little bit splice of Japanese culture. I'm always inspired by old photographs and advertisements from 1920s and 1930s. I want to see the people who actually lived in that period. 4. What’s your favourite item of clothing and why? I always wear a hat when I am outdoors. I love hats, especially boater hats. The straw boater is a classic look and I like the shape. You are only allowed to wear them during the summer. That makes me feel like "I gotta wear a boater hats as much as possible during summer I will be unable to wear it when summer's gone!" 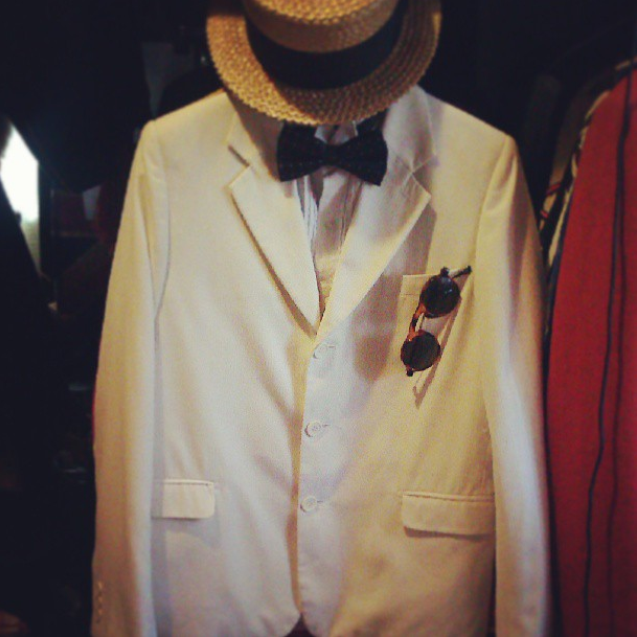 I can't wait to put it on with a navy blazer and white trousers or a white suit. It has been 3 years. I used to be very different before I started dressing up like this but you know, I was too young to be ‘Dandy’ anyway. I always try to be perfect looking but I do dress down sometimes. When I go to the park for walk or going to grocery store I wouldn't wear tie. It just depends on what I'm gonna do or where I going to. You don't wear whole suits on the beach do you? But I’m never without a hat or cap when I'm outdoors. I choose what I wear for the next day before going to bed. I’m just so lazy in the morning. I guess it doesn't take much time. Normally it takes 5 minutes to 10 minutes. Just pick them up with my feeling. I have spent a whole day to choose outfit though. Stood in front of my wardrobe for like 5 hours. I ruined my plan that day. It happens once or twice in every 3 months. Actually it's nice to spend time with my wardrobe, having tea on my day off. Sometimes a new idea comes up. Then I won't be late for work the next day! 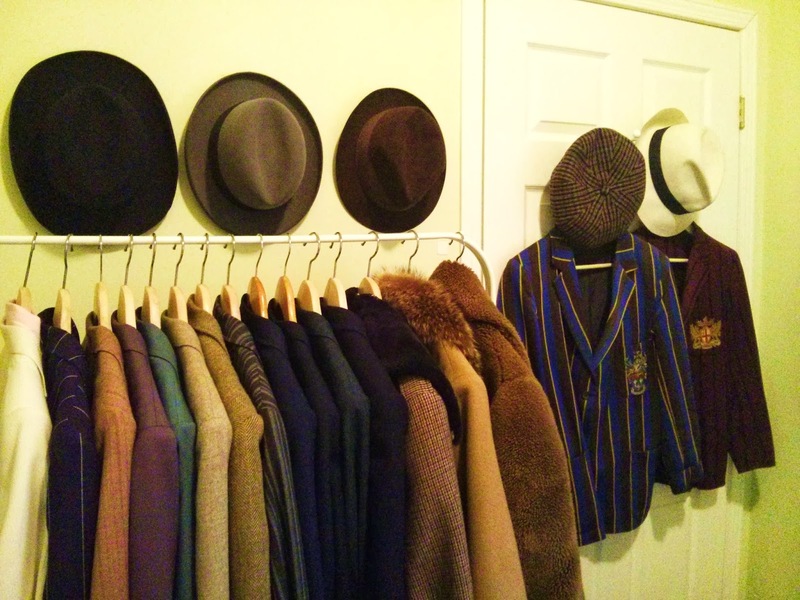 Mostly I wear vintage. I like the story behind them (where did it come from, who was it made for...). It's not easy to find what exactly I want because I am 5ft 3 tall and my shoe size is 7. Anyway, I just keep looking for them and I enjoy doing it’s like being a treasure hunter. I go to vintage stores and antique markets. My grandfather gave me some accessories like cuff-links and tie-pin. I still keep them. You can get anything online these days but I never buy any clothes online. I want to see with my eyes and touch them. 9. You must attract a lot of attention from people because of the way you present yourself. What kinds of things do people say to you? Well...I don't know. I don't hear them. Actually I try to not hear them. It's kind of scary. Because we live in 2014, right? I know some people understand but some people don't. Inspiration comes from everything from my closest friends and people who I've seen in Japan, London and Toronto to music like jazz and blues. Also I grew up watching old films, especially musicals. I'm huge fan of Gene Kelly and Fred Astaire. I wish I could dance like them. 11. There are lots of sartorial rules, it seems. ‘Never wear brown in town’ and ‘don’t wear a matching tie and pocket square’. Do you follow any rules? 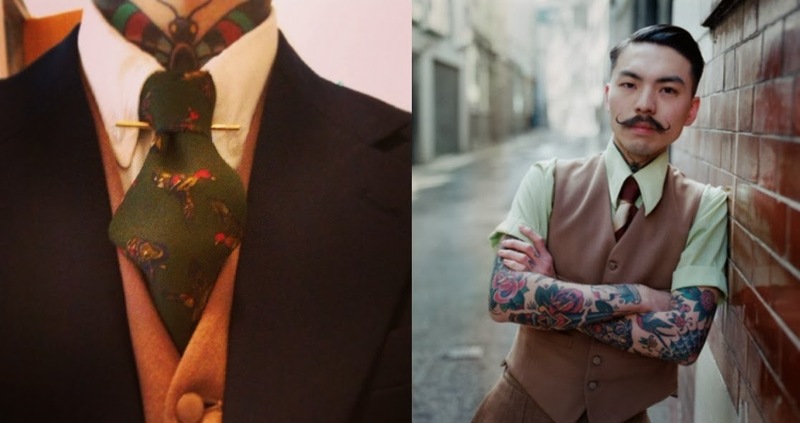 I follow basic ones such as ‘belt or braces, never belt and braces’ and that your tie knot should have a dimple). There are a lot so I'm still learning it. 12. You have a number of tattoos. Please can you share what they are and where? Are there any stories behind them? 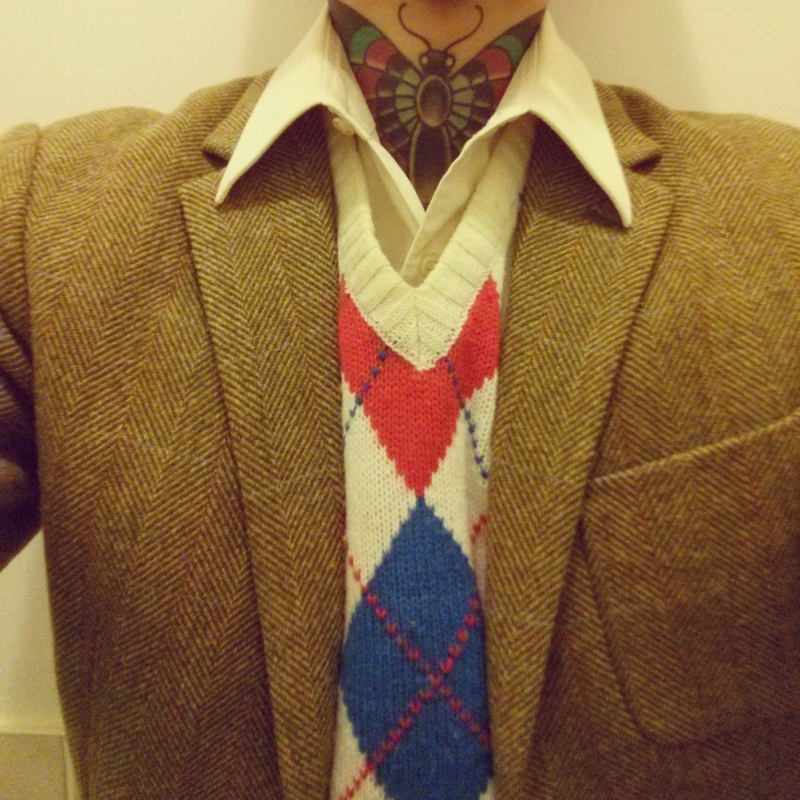 I have American traditional tattoos on my whole sleeve, my chest and neck. I've had all of them done in London. Of course there are some stories behind them and why I got tattoos. The story began long time ago. I'd been to Hawaii with my parents and my older sister when I was kid. Probably when I was 6 or 7 years old. Then I put some tattoo stickers on my arms. I remember I really liked it. I didn't even know what they were but I knew I would do it again. I thought, “I want some colourful paintings on my body”. I used to be shy and chubby when I was kid. I was disgusted for myself. I always wanted to be cool and stronger. As I got more tattoos, I felt I was getting stronger. I could have confidence in myself so I'm happy with it. But I never consider my tattoos when getting dressed. My tattoos are part of me. 13. Are there any particular accessories you like to wear? I don't think I wear some sort of special accessories. 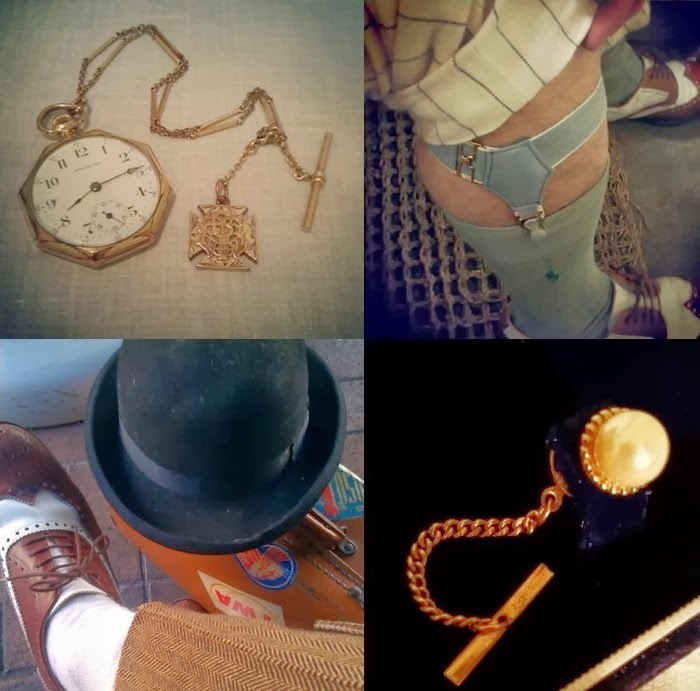 I just wear the accessories which a gentleman ought to wear (pocket watch, tie pin, collar bars, sock garters, shoe spats, hats). I do hope you enjoyed this new feature. If you consider yourself to be an impeccably-dressed peacock and would like to be the next 'real-life dandy', please do send me a missive.